Who has had an influence on you? A few years ago, there was a best-selling book and popular movie called, Julie and Julia, about the influence famous Chef Julia Child unknowingly had on a young woman’s life. It’s a familiar theme, since most of us have our heroes. And mine has always been Agatha Christie. I like to give talks about mysteries and recently I explained that I began writing mysteries myself because I ran out of Agatha Christies. Of course, there are other mystery/suspense authors I enjoy: Mary Stewart, Patricia Wentworth, Charlotte MacLeod, Rex Stout, Georges Simenon, among others. But when it comes to plotting, Agatha’s the champ. I’m such a fan that I have seen all of what I consider the best portrayals of my favorite Christie characters, Miss Marple, played by Joan Hickson (Christie actually predicted that she’d play Marple one day!) and David Suchet, who WAS Poirot in a series lasting 24 years! Alas, Dame Agatha and I never met. I understand that she was rather shy and found the adoration of her countless fans embarrassing. There’s the first similarity between us. Not that I have countless adoring fans, but I am a teensy bit shy. I am an American and she was half-American on her father’s side. She had a sister and a brother, as do I. She read voraciously as a child, and enjoyed the works of children’s author, E. Nesbit. What a coincidence! So did I! Here’s where our paths diverge somewhat: she helped nurse injured soldiers during WWI--and I wasn’t even born yet. She became an expert on drugs and medications (ie. poisons), a knowledge that she used to good advantage in her books. I take the occasional ibuprophen and am proud that I know how to spell it. Agatha’s first marriage ended in a breakup. I’ve been luckier. I’m still married to my first husband. Her second marriage to archaeologist Max Mallowan, I’m pleased to say, was a long and happy one. She accompanied him on many of his digs in exotic foreign places and used the atmosphere that she soaked up in some of her stories. I have accompanied my husband to many conventions around country and have manned his company booth. We even traveled out of the country to a convention in Toronto. 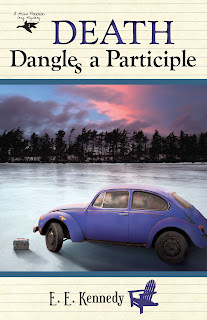 I soaked up what I could and incorporated a French-Canadian character nicknamed the Millionaire from Montreal in my Miss Prentice cozy mystery series. Granted, Toronto and Montreal are rather different cities, but still—hello, Canadian! The Great Lady and I converge again when it comes to photographs. The older I get, the less I like pictures of myself. Agatha felt the same. She even went so far as to complain that the unretouched publicity photos of herself taken at age fifty-nine made her look seventy. I am always disappointed in my photos, but I do take advantage of the miracles of modern cosmetics. They do wonders (not to mention Photoshop)! I am by no means trying to claim that my work compares to hers. 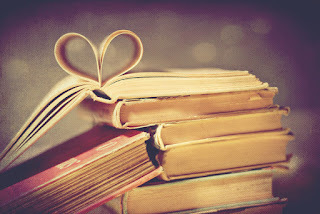 What I am saying is that the key to good writing, in my opinion, is to read good writing. It’s how you learn to use the language, to plot, to create three-dimensional characters and make your readers happy. Agatha Christie wrote her first full-length mystery because her sister dared her to. I issue a similar challenge: read, read, read what you enjoy and take a crack at writing. You might might be surprised at what you can accomplish. Ellen Kennedy, aka E.E. Kennedy is the author of the Miss Prentice Cozy Mystery series. Leave a comment below, along with your EMAIL ADDRESS, and you will be entered in a drawing to win an eBook copy of the Miss Prentice mystery of your choice! Amish bishop Henry Lapp eagerly awaits the annual arrival of 20,000 sandhill cranes to the San Luis Valley of Colorado. But his visit to the Monte Vista National Wildlife Refuge reveals more than just a miracle of God's creation. Hidden among the bulrushes and cattails is the deceased body of a young woman. As the local authorities attempt to unravel the mystery, Henry feels God's calling to use his extraordinary talent to aid in the investigation. His ability to draw from memory in photographic detail could help solve this puzzling case. Henry's closest friend, Emma Fisher, has always urged him to embrace his gift. 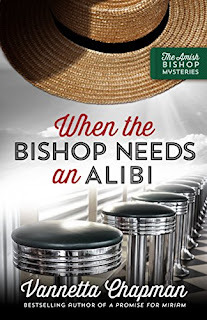 As their relationship deepens, Henry realizes his involvement could put him and those he loves in the direct path of a killer, one who is willing to do anything to cover up a brutal crime, including framing the bishop. 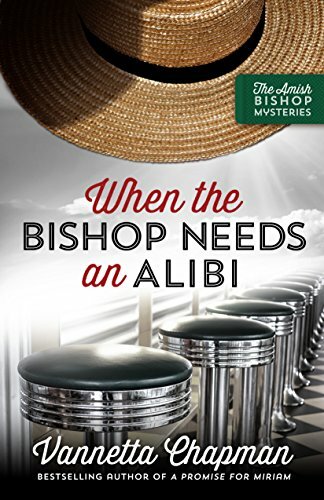 When the Bishop Needs an Alibi is a compelling story of faith, friendship, and finding courage only God can provide. Sandra Orchard—winner of the RT Reviewers’ Choice Award, the National Readers’ Choice Award, and the Daphne du Maurier Award of Excellence, among others—leaps off the garden trails of her herbal-researcher-turned-amateur-sleuth (Port Aster Secrets) series, to the museum corridors of her plucky FBI art crime agent Serena Jones, in A Fool and His Monet, Another Day Another Dali and Over Maya Dead Body. 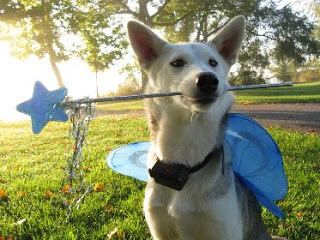 When not plotting crimes, Sandra plays make-believe with her young grandchildren or hikes with her hubby and husky near their home in Ontario, Canada. FBI Special Agent Serena Jones arrives on Martha’s Vineyard with her family, ready for a little bit of R&R and a whole lot of reminiscing as they celebrate the engagement of an old family friend. 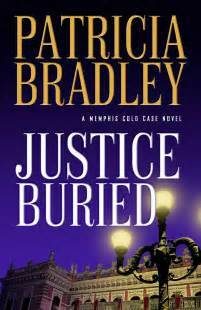 But crime doesn’t take a vacation, and she’s soon entangled in an investigation of a suspicious death tied to an antiquities smuggling ring. When her investigation propels her into danger, Serena must stay the course and solve this case before anyone else dies. But just how is she supposed to do that when the two men in her life arrive on the scene, bringing with them plenty of romantic complications–and even a secret or two? When a valuable Salvador Dali painting belonging to her grandmother’s friend is mysteriously replaced by a forgery, FBI Special Agent Serena Jones is called in to investigate. Serena hopes finding the thief will also mean finally measuring up to Nana’s expectations. But when the evidence points to members of the owner’s own household, it becomes increasingly clear that Serena won’t be winning any popularity contests. The Dali isn’t the only painting that’s fallen prey to the forgery-replacing thief, raising the specter of a sophisticated theft ring–one with links to dirty cops, an aspiring young artist, and the unsolved murder of Serena’s grandfather. Serena Jones has a passion for uncovering lost and stolen art—one that’s only surpassed by her zeal to uncover the truth about the art thief who murdered her grandfather. She’s joined the FBI Art Crime Team with the secret hope that one of her cases will lead to his killer. Now, despite her mother’s pleas to do something safer—like get married and give her grandkids—Serena’s learning how to go undercover to catch thieves and black market traders. When a local museum discovers an irreplaceable Monet missing, Jones goes into action. The clues point in different directions and her boss orders her to cease investigating her most promising suspect. But determined to solve the case, and perhaps discover another clue in her grandfather’s case, she pushes ahead, regardless of the danger. What drew you to write mystery and suspense? I enjoy reading fast-paced mysteries, with a dash of romance, that keep me guessing whodunit. And I love plotting twists and turns that do the same to my readers. Did you start with that genre or in another? When I first started writing fiction, I thought I was writing romance with a goal to publish with Love Inspired, but when they opened their Love Inspired Suspense line, I realized my novels were really romantic suspense. Writing for LIS naturally evolved into writing mysteries for Revell, when I wanted to write a series with the same heroine sleuth. Do you come up with all your own titles? They are so darn cute! I came up with the idea of using the artists’ names in a play on words, but my publisher’s team came up with the winning titles for A Fool and His Monet and Another Day Another Dali. Over Maya Dead Body, in which Maya refers to the antiquities being smuggled is my original title for the final book. How did you get published and how has being published changed your life? I persevered—writing and rewriting the next novel and the next, taking lots of courses and workshops along the way, as well as paying for critiques and courses, attending conferences and entering contests. Winning the Daphne DuMaurier Award was probably the key turning point. An earlier version of the winning story had already been rejected by a Love Inspired Suspense editor, but I met with the new head editor soon after the win and asked her if she’d consider the new version. She said yes and read the entire manuscript and liked my writing, but told me exactly why that particularly plot didn’t work for the line. I immediately applied what I learned to another of my ready-to-submit novels and sent it in and she contracted it—Deep Cover. Who is your favorite or most memorable character in one of your books? If you could, would you want to meet that character in real life? Ooh, I’d love to meet every hero I write. J In my current series, Serena’s adventurous Great Aunt Martha is probably the most memorable. More than one reader has told me they want to be just like her when they grown up. What is your current work in progress? How many words do you typically write per day? I am currently working on a cozy mystery for an ongoing multi-author series. I’ve come to the conclusion that two writing days are rarely alike. With my last two books, which were fully plotted before I started—a task that took me 6+ weeks—I was able to write fast drafts for the first time ever and wrote 3000 words a day. But in both cases my overall word count fell short more than 10,000 words, and from that point, eking out an additional 1000 words/day was challenging. Prior to those two books, 1000 edited words/day was an average day. Do you incorporate settings in your books from your real-life travels? Oh yes, I did a lot of exploring for the Serena Jones Mysteries. I visited all kinds of places and neighborhoods in St. Louis, including the FBI headquarters where Serena works. I also visited the Gardner Museum in Boston, the location of the most famous unsolved art robbery. And I made two trip to Martha’s Vineyard to nail down all the details for the setting of Over Maya Dead Body. Don’t be in a rush to get published (or to self-publish). Take time to develop your craft, enjoy the journey and persevere. Name one of your all-time favorite mystery books or authors. I don’t like to play favorites. But I will admit that Trixie Beldon and Encyclopedia Brown were the first sleuths to hook me on the genre. Do you hate any of your characters? I ask that because Agatha Christie hated Poirot. Gasp! That’s like asking me if I hate one of my children. Of course…Kate, the heroine of my Port Aster Secrets series, started driving me so crazy when she took over writing the books for me that I did feel the need to kill her off. And it was very cathartic. You’ll have to read the book to find out if my editor let her stay dead. Tell us about the featured ebook, the one you’ll be giving away to one lucky reader! 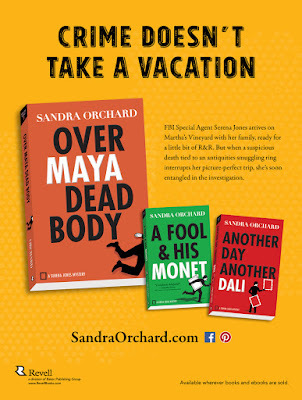 Over Maya Dead Body is third and final book in my Serena Jones Mysteries series from Revell Publishing, featuring a plucky FBI agent who specializes in art crime. In this novel, she’s supposed to be on vacation in the beautiful Martha’s Vineyard, but instead stumbles onto an antiquities case, connected to the death of a close friend of the family. Each book in the series is a standalone mystery, with a fun, eclectic group of secondary characters who continue to reappear. But in the first book, A Fool and His Monet, I invited readers to vote for the man in Serena’s life with whom they’d like to see her eventually start a relationship. And Over Maya Dead Body fulfills my readers’ wishes…or at least the majority of them. For the rest, I’ve started a private FB group where they can commiserate over her choice without fear of spoilers. 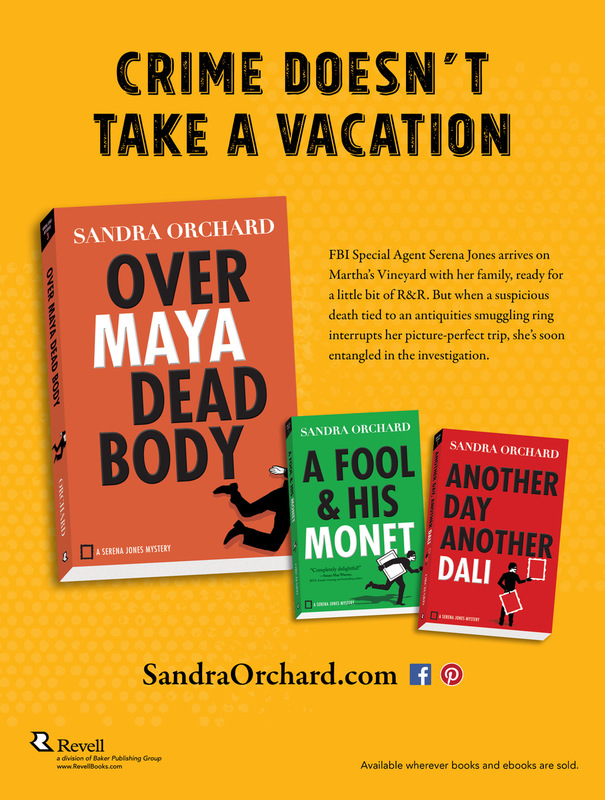 WANT A CHANCE TO WIN OVER MAYA DEAD BODY? (eBook) Leave a comment AND your email address please. Got to get that winning book to you! Why writers don't wear capes...but they should! Hot New Inspy Suspense...from the doctor! 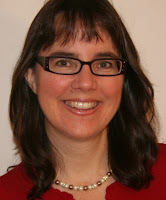 Welcome, Vannetta Chapman to Suspense Sisters!